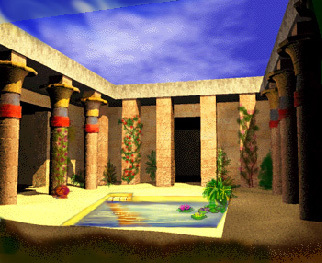 My name is SenibRe Hatshepsut, brother to KhenumRa, Mayor of Waset; to Menefertaten, Nebet of the Qenbet and to Geb, our youngest brother, manager of the family's ancient and honorable business, the Hatshepsut Stud Farm. 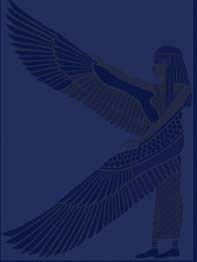 I've done my time in His Majesty's Armies, and have served Him well ( Ankh,Udja,Seneb! ); now I am personal bodyguard to my friend, the Hemet-Netjer-a Imun, Tjeti. I 've been told by many women that I am quite handsome, and I lead a pleasant life protecting the Hemet-Netjer.I have yet to marry, however. My life is uncluttered by any woman's hand, and shall stay so for the future. I can be identified by the carnelian beads I wear in my hair, as can be those who serve me- a family practice started generations past to discern which servants were whose. 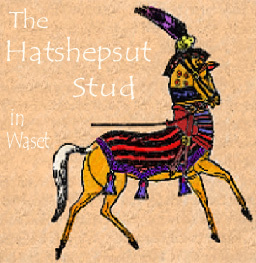 The Hatshepsut Stud, the family business, are the breeders of Kemet's finest horses. South of Pi Ramesses, on the outskirts of Waset, our family has been raising and training horses for generations. I'm proud to say His Majesty is the chief buyer of our stock, and His patronage is our honor and pleasure.